Childhood is a beautiful, magical, and overwhelming time for many of us. Everything is new and untarnished by past associations or biases. Anything seems possible. But sometimes, childhood can be a scary time. Sometimes we feel devastatingly misunderstood or forced into a mold that is too confining, too tight, or too stifling. 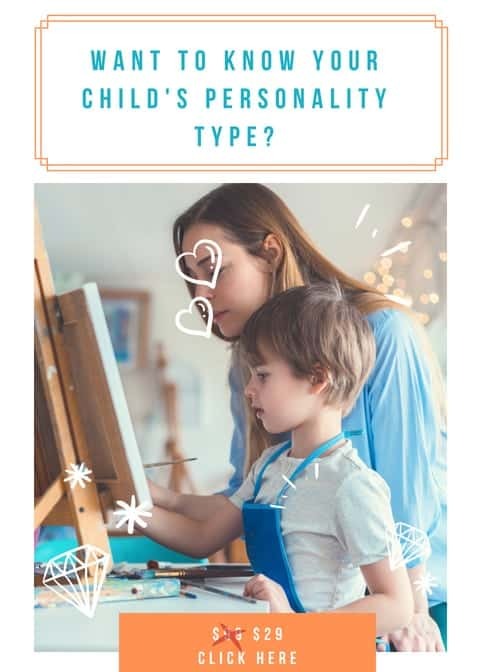 This is especially true for children who grow up in families where their personality type doesn’t meld with the “type culture” of the rest of the family. A sensor in a family of intuitives, or vice versa. A child might feel like they are always trying to be someone they’re not or fit in with a group of people who have totally different strengths than they do. So what are the natural insecurities of each Myers-Briggs® type in childhood? Let’s take a look! ISTJ and ISFJ children feel insecure when they are thrown into new situations without any idea of what to expect. When their parents live from moment-to-moment without a real plan, or expect them to adapt to new surroundings, or don’t prepare them for what lies ahead, they feel lost and confused. They may try to counter this fear and insecurity by being overly prepared, by creating contingency plans, or by feeling that they need to act the “grown up” in the family setting. With a lack of structure and planning, they may take it as their responsibility to create their own safe haven and protect themselves and even possibly their siblings from what they feel might be unexpected disasters or unknown calamities. ISTJs feel insecure in highly emotional situations or when they let their own guard down emotionally. They are very private about their feelings and can feel flustered as children if they cry, get angry, or otherwise lose control. ISFJs feel insecure when they receive criticism or are faced with conflict or confrontation. They like to maintain harmony as much as possible, and they tend to take criticism very personally as children. With time and maturity, ISJs develop a stronger ability to cope with change. An occasional spontaneous decision or change in plans can be a good thing for an ISJ, but not if it’s a constant part of their daily life. ESTP and ESFP children feel insecure when they have to make long-term commitments or focus a lot on theoretical topics. They are most comfortable focusing on the present-moment and reacting resourcefully to current events. Working with what is real and tangible is their forte. They feel insecure when they make impulsive decisions and are called out for not “looking before they leap”. They may counter their insecurity by embracing a happy-go-lucky, “everything will turn out fine” outlook. If they are in an environment where they are constantly called upon to think about long-term implications or focus on theoretical concepts they may avoid the insecurity by letting loose whenever they can, taking risks, being adventurous, and finding a way to act on their impulses more freely. ESTPs also feel insecure in highly-charged emotional situations or when they inadvertently make a social gaffe. Having to deal with a lot of conflicting emotions of other people can be stressful and irritating for them. ESFPs feel insecure in conflict-ridden environments or when they are given criticism. They prefer to be in harmonious environments and tend to take criticism personally. With time and maturity, ESP children develop a stronger ability to plan and foresee theoretical future implications. Having to occasionally focus on the future and decipher the most likely outcome can be a good thing for them. However, if they are frequently pressured to think this way, they can become increasingly stressed and imbalanced. INTJ and INFJ children feel insecure when they need to focus all their attention on the current moment. Having to respond and react quickly to spontaneous changes forces them to use their inferior function, Extraverted Sensing (Se). Because of this insecurity, INJs may avoid things like sports or playground school games where quick reflexes are expected. INJs may also feel insecure when they have to focus on a lot of concrete details or multi-tasking. Because they are naturally drawn to intuitive perceptions and theoretical analysis, having to instead focus on detailed, sensory data can be stifling and stressful. They may try to counter this fear or insecurity by over-preparing for situations that call on them to use sensing. They may obsess over trying to have things in order and sorted out just right. If they live a lifestyle that forces them to juggle a lot of concrete details they may protect themselves by “zoning out” mentally whenever they can or seeking solitude as much as possible. With time and maturity, INJs can become more adept at handling current moment details and spontaneous changes. Having to be mindful of the present can be a healthy thing for them in small doses. But sustained, ongoing focus on this mode of perception rather than intuition can leave them feeling stressed and depressed. INTJ children feel insecure in emotional situations or when they let their own guard down emotionally. They tend to be private about their feelings and can feel flustered as children if they cry, get angry, or otherwise lose control. INFJs feel insecure when they receive criticism or are faced with conflict or confrontation. They want to live in a harmonious atmosphere as much as possible, and they tend to take criticism very personally as children. SIDE-NOTE: INJs can enjoy sports, as any type can. It’s important, however, that they balance their time in sports with plenty of alone time to explore their intuitive perceptions and reflections, otherwise they are at risk of burning out quickly. ENTPs and ENFPs feel insecure when they have to manage or remember a lot of details, facts, and specifics. As Extraverted Intuitives, ENPS tend to see impressions of things rather than the fine details. They are also more focused on analyzing future possibilities and ideas then repeating a familiar process over and over again. If they are in a setting where they are forced to remember or maintain a lot of details or they are stuck in a rigid routine, they can become bored or depressed. This tends to happen a lot in elementary and middle school, where the majority of teachers are SJ types who prefer a consistent routine and a focus on details. In order to cope with this atmosphere, many ENP children create little creative games as a method for remembering facts. They may retreat into their imagination when repeating routine tasks or find comfort in fantasy novels or theoretical non-fiction books. They can also become increasingly argumentative with authority figures who are pressuring them to adhere to a routine that stifles them. With time and maturity, ENPs usually become more adept at handling details and routine. Occasional detail-oriented work can be a healthy thing for an ENP. But sustained, ongoing focus on concrete details and a routine lifestyle can leave them feeling depressed and uninspired. ENTP children feel insecure in highly-charged emotional situations or when they inadvertently make a social gaffe. Having to navigate the conflicting emotions of other people can be stressful and confusing for them at an early age. ENFP children feel insecure in conflict-ridden environments or in situations that might conflict with their personal values. As children, they may not be able to define their values yet, but they will get a gut feeling when something doesn’t seem right, and they may not always be able to explain why. INTP and ISTP children can feel insecure when they have to conform to social norms or engage in social niceties that feel phony or purposeless. They also can feel insecure when they are around highly emotional people or have to share their own feelings openly. They tend to be private about their feelings, preferring instead to focus on logical analysis. If they are constantly pressured to share their feelings or to read other people’s emotions they can become increasingly defensive, stressed, and agitated. They may counter this by avoiding any situations that seem like they could create emotional overload, or they may become sensitive and guarded emotionally; worrying about other people’s opinions of them and wanting affirmation, but not daring to share their own feelings for fear of saying or doing the wrong thing. With time and maturity, ITPs usually become more adept at handling emotions and responding to social cues. Occasional emotional expression and empathetic interaction can be a great way to reach personal growth. But a sustained, ongoing pressure to tune into the values and emotions of others can create a great deal of stress for the ITP. INTP children may also feel insecure in environments that are very rigid and structured. They tend to dislike a repetitive routine and can feel trapped or stifled in very controlled environments. ISTP children may also feel insecure when they have to focus heavily on theoretical or abstract concepts instead of what is practical and tangible. As they get older this usually becomes less of an insecurity. ENTJs and ESTJs feel insecure when they have to tune into their own individual values and emotions. They prefer to work with tangible, provable facts and logic. They tend to put aside their own individual feelings and instead focus on objective data and truths that can be applied to all situations. When they have to introspect and really analyze things from an individual, conscience level, they can feel insecure or that they’re wasting their time. If they’re in an environment where they are pressured to express their emotions or ignore logic in favor of subjective truths, they may get stressed or irritated. They may feel that they need to be the “tough” ones and not show any sign of vulnerability, or they may constantly feel like they have to walk on eggshells to avoid violating the feelings or values of the people in their family. With time and maturity, ETJs usually become more adept at introspecting and getting in touch with their individual values. Spending small doses of time in this mode is very important for their well-being. But a sustained, ongoing pressure to be in this mode (which happens more often if they’re in a feeling environment) can cause them stress and frustration. ENTJ children may feel insecure in highly routine environments or environments where they have to focus on a lot of repetitive, detail-oriented work. They prefer to focus on the big picture concepts and ideas and can lose track of details as children. ESTJ children may feel insecure in situations where they have to extrapolate future possibilities and outcomes. As children they are more adept at focusing on present details and facts. As they get older they tend to become more proficient at focusing on future potential and possibilities. INFPs and ISFPs feel insecure when they are asked to delegate, give or receive criticism, or do something that is objectively logical but doesn’t seem right on a conscience-level. As dominant Introverted Feelers, IFPs prefer not to exert themselves over others and they are more comfortable doing things that relate to their values and beliefs rather than focusing on just the cold, hard facts and pros and cons. Giving and receiving criticism can feel deeply personal to them, and they can take it a lot harder than other types would. They also don’t like enforcing “black and white” rules because they tend to see things in more nuance and shades of gray. Sometimes, as children, they can feel peer pressure to do something that doesn’t feel right to them, but they’re not sure why. At a young age, IFPs are still figuring out what their values are and they don’t always know exactly how to define them. They may not know a value is being violated until it’s actually happening. Being in situations where there is pressure to do something that doesn’t feel right, but the IFP can’t give a logical reason why it doesn’t feel right, can create a lot of insecurity. To defend themselves from these situations, IFPs children may become increasingly quiet and reserved, holding back from other children who might push them into these scenarios. With time and maturity, IFPs usually become more adept at structuring their time and organizing and delegating tasks in a logical, efficient way. Spending small doses of time in this mode is very important for their well-being. But a sustained, ongoing pressure to be in this mode (which happens more often if they’re in an extraverted thinking environment) can cause them stress and frustration. INFP children may also feel insecure in environments that are very rigid and structured. They tend to dislike a repetitive routine and can feel trapped or stifled in very controlled environments. 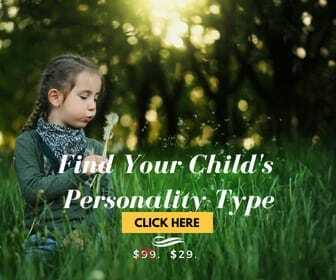 ISFP children may also feel insecure when they have to focus heavily on theoretical or abstract concepts instead of what is practical and tangible. As they get older this usually becomes less of an insecurity. ENFJs and ESFJs feel insecure when they have to make impersonal, logical decisions that might adversely affect other people. As dominant Extraverted Feeling types, EFJs strive to create harmony for everyone they encounter. Being conscientious of the needs and emotions of other people is central to their personality so giving and receiving criticism can be difficult. Having to make a decision that might hurt someone’s feelings or create disharmony, even if it’s the right decision, can create a lot of turmoil for them. If they are in an environment where they have to do this frequently, or if they are regularly faced with criticism themselves, they may start to berate themselves on a regular basis or put up defense mechanisms so they don’t get too close to people. They may also spend an inordinate amount of time finding creative ways to word things so that they won’t offend people or create any tension or conflict. With time and maturity, EFJs usually become more adept at handling impersonal criticism and logic. Spending small doses of time in this mode is very important for their well-being. But a sustained, ongoing pressure to be in this mode (which happens more often if they’re in a thinking environment) can cause them stress and frustration. ENFJ children may feel insecure in highly routine environments or environments where they have to focus on a lot of repetitive, detail-oriented work. They prefer to focus on the big picture concepts and ideas and can lose track of details as children. ESFJ children may feel insecure in situations where they have to extrapolate future possibilities and outcomes. As children they are more adept at focusing on present details and facts. As they get older they tend to become more proficient at focusing on future potential and possibilities. I’m an INFJ. I can definitely identify with this. As a child and especially as a teenager, I had to deal with these very insecurities. My solution was usually “zoning out.” Even now, as an adult, it can be challenging to not zone out in stressful situations. Thank you so much, Susan, for this blog. I’ve learned so much about my personality type. It’s made a huge difference in my life. God bless you! Hi Amanda! Thank you so much for the comment! I definitely relate to the zoning out problem, I guess it makes sense since I’m also an INFJ *high five!*. I’m really glad you’re enjoying the web site and I hope you’ll let me know if you ever think of any article ideas you’d like me to write about! Ha! Childhood insecurities of mbti types – E! Im an INFJ also and totally relate to the criticism part as I have always taken it to heart and more personally and been told I wear my heart on my sleeve in this aspect. I also get flustered with lots of little changes happening at once as I have a big picture in mind. Is it an INFJ thing to hate micromanaging ?